With 2016 over half way over, it's a good time to revisit my goals for this year detailed in my beginning of the year post found here. My focus will be on choosing wisely as I make decisions daily in my life. I know, I know... we ALL have this goal. Is it measurable? Not always, but it is something to keep in mind from day to day. I'm a little bit behind schedule with my mileage. I should have hit 350 miles at the end of July but I'm only at 330. Not too off track, but I need to continue to put in the miles even if it means run/walking intervals. I'm still having some issues with endurance, so double digit runs have become non-existent but I'm hopeful that this goal is still obtainable. I think I've definitely nailed this one in the professional world since I'm a month into a new job (detailed here). I presented at 4 different local conferences this summer as well as at ISTE. I have presentations coming up still this year at MASSCUE and out of the country (again!) in UAE. Personally, new challenges are coming about with my professional changes. 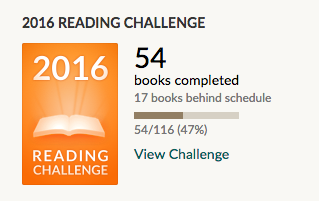 I'm excited to see what other new challenges are still to come in 2016. "Don't look back; you're not going that way." Week 1 of the new job is complete & I'm super excited about the weeks to come. 🤗 Lesson? Go for it. Take the risk. Change is good. Comfortable isn't always best. Continue to push yourself to learn & grow.